Ben joined the Business in 2015 where he started out as a member of the PLAD (Damp & Timber) division within Prestec UK Limited. Eager to broaden his knowledge and experience Ben joined our Apprentice scheme taking on the challenges of an Apprentice Craft Operative specialising in Damp & Timber preservation and successfully completed his Apprenticeship in May this year. As part of Ben’s personal challenge, he has assisted on various projects within the Prestec division where he has gained valuable experience from his colleagues in different aspects of the Business. 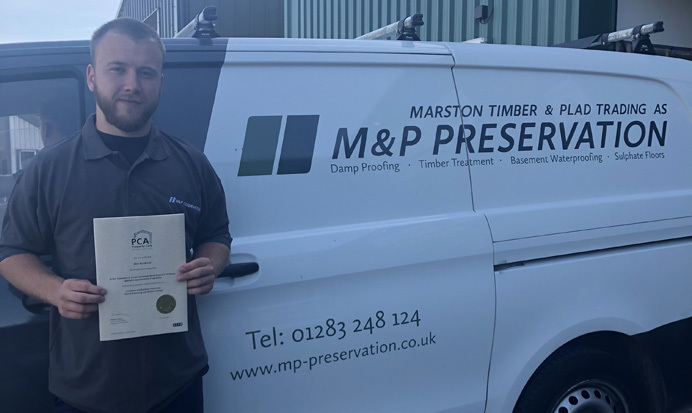 Now having an NVQ qualification in Damp & Timber preservation and experience in plastering, refurbishment and dilapidation, Ben has proved that his perseverance and hard work has now given him a good foundation for building his career with the Business.